Home › Australian Solar › Australian solar cell research gets $29.2m grant. Australian solar cell research has received a $29.2m grant from ARENA (Australian Renewable Energy Agency) – with 11 of the 22 projects currently sponsored associated with UNSW, who has been leading the way in Australia’s solar research for over 40 years. ARENA’s latest funding round has seen UNSW granted $16.43m for 11 projects. UNSW’s research partner in ACAP (the Australian Centre for Advanced Photovoltaics), ANU, received $7.89m for six projects, the CSIRO received $3.31m and Monash University got $1.59m. 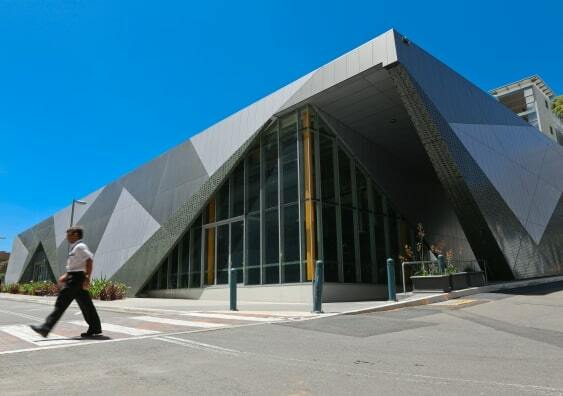 UNSW’s Solar Industrial Research Facility (SIRF) was created in 2011 as a $16m ‘turnkey pilot line manufacturing facility’ which allows UNSW to create silicon solar cells from lab processes to factory ready industrial processes. According to the UNSW website, architects Woods-Bagot modelled the outside of the building to mimic the pattern of multi-crystalline silicon solar cells. Today, it’s a $30m facility aimed at advancing solar power technology – bringing UNSW’s solar tech to industry partners across the world. SIRF has brought over $8 billion in benefits to Australia over the past ten years – with gains of energy efficiency forecast to save Australians $750m over the next decade. It’s been the recipient of myriad ARENA grants and is a great example of Australia’s commitment to solar power research. Dean of UNSW Science Emma Johnston, discussing the grants, said: “At UNSW we are proud to have a long history of world-leading solar innovations dating back to the 1970s. But research is only one part of the puzzle. Equally as important is translating these world-leading ideas into commercially viable products. “The SIRF facility we stand in today is evidence of this commitment – a place where we work hand in hand with industry to deliver solar solutions for Australia and the world,” Dr. Johnston added.